Usually the Friday Photo is the chance to show off some forgotten special picture or new video. This Friday, it’s ever so slightly different, because it’s not every week you get invited to the Guild of Motoring Writers’ Awards. Oh, and win something too! As a one-off, it’s a slightly more individual post written by editor John Redfern. 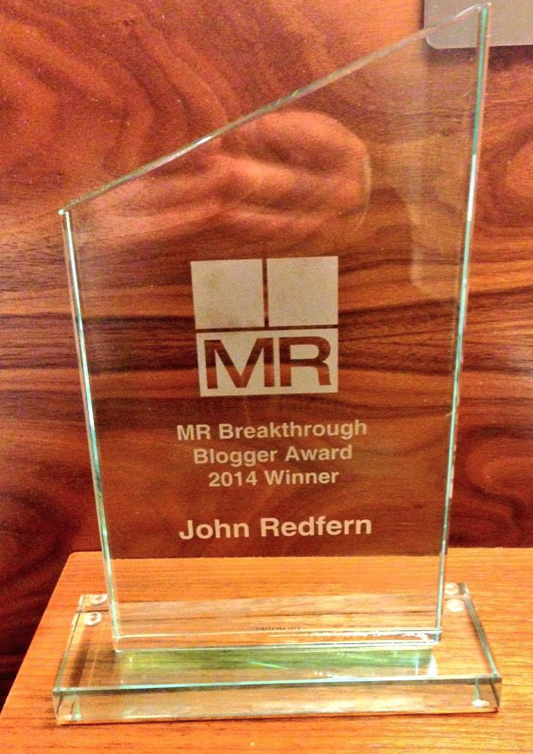 So, despite that being my name on the trophy pictured above, it’s still taking some time to realise that I’ve won the Motoring Research Breakthrough Blogger 2014 award. 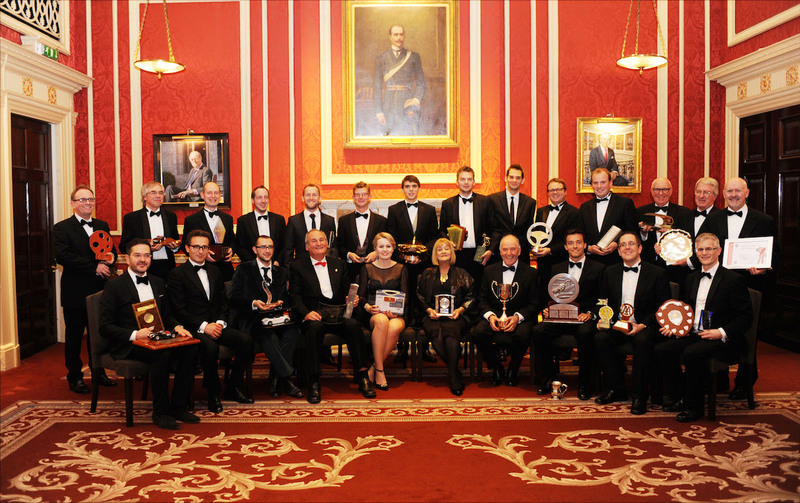 The whole experience of attending the Guild’s annual awards dinner last night, surrounded by some of the biggest names in motoring journalism, automotive industry, and the world of motorsport was surreal in itself. It was an absolutely incredible experience alone, so to win an award just made the whole thing even more amazing. When I first started EngageSportMode.com three years ago, I never expected or even intended, that it would lead to something like this. ESM has first and foremost always been a hobby, that I’ve done for my own personal pleasure. I love cars, motorsport, and writing; something ESM has allowed me to indulge my passion for all three of. That it could develop into something which gives the possibility to turn this blogging hobby into a potential career path, was unthinkable in those early days. Everyone who has written posts, submitted content, suggested ideas and shared creations on ESM. Those guys listed in the ‘Team’ section have let me turn this from one man’s random ramblings, into the collective organised ramblings of several people instead! But in all seriousness, I’m hugely grateful to the ESM team for their hard work. Rich Gooding of PoloDriver.com who, along with curating an encyclopaedic website dedicated to Volkswagen’s supermini, has been a constant source of encouragement and support to me in the world of blogging. From asking me to submit reports of owning the R-Line to PoloDriver, to suggesting 6N2 Polo GTIs that I should buy, I’m hugely indebted to Rich. I’m also delighted that he was highly commended by the Guild last night for his own motoring writing too. Newcastle Audi and, specifically, Thomas McAlindon for his assistance in making things like the Audi S1 Sportback review happen. Being based in the North East isn’t always ideal from a motoring blogging perspective, so having supportive local dealerships is vital. Finally, my fiancée Ceri for pushing me, sometimes physically(! ), to write more and all the things she does to make that possible. Be it listening to my ideas, tolerating the highs and lows, or even just the cups of tea, she makes it possible for me to be a blogger. There’s many more, but I don’t want this to turn into some Oscar ceremony style epic monologue. I do, of course, need to thank the Guild of Motoring Writers and Richard Aucock from Motoring Research for this award, and the accompanying opportunities it brings. The last 24 hours have been something of a whirlwind, and I still think it’ll take a while to fully sink in. The next year offers the potential for a whole new world of possibilities; something I’m hugely excited about. Let’s just see what those next twelve months bring!